It’s strange to be in the position of being older. A whirlwind of days and nights swirl from this human drama, and I think I may be starting thinking about my exit— Lord willing, stage right. Getting old is great in some ways. I only wish I could do it more gracefully. On top of it all, it seems to me like my sin has poisoned the air that others must breathe. I have contaminated so much. You might just say, I have ‘soured’ everyone’s milk. “Learning to live with the regrets” is a class that we should add to the local high school’s curriculum. It certainly would be useful. A old friend is celebrating her birthday so I volleyed a semi serious “tongue and cheek” regret at her. But then, I suddenly realized that there is a point when we realize that behind every older person, is someone else wondering what the hell has happened, and how did it get this way so fast? It would be funny if it weren’t so serious. As a Christian, I tentatively believe that this world I’m in, has folded open for me, and God has specified a direction. I do contend though, unbelief is easier on a certain level, but I do not intend to take any detours. Perhaps the real trick about reading a map in the car is that you most likely won’t get it folded back the same way ever again. You must learn to accept this. And as a rule, maps seldom reveal the best detours. 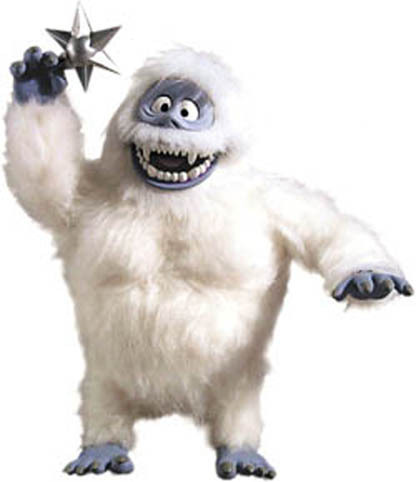 I must admit to having a connection to “Bumble”, that crazy, loveable, abominable snowman in one of those schlocky, animated children TV classics from my youth. I guess I identify with that ‘misfit’ yeti– someone who finally sees the light, but only when all his teeth are pulled! Somewhere in that show he seemed almost good, but didn’t we all wonder for a while if he would come around or not? I also wonder about the thief on the cross who got his ticket punched by Jesus at the last possible moment. When we finally make it to heaven, we will find him there laughing and celebrating like everyone else, just like he belonged. I guess grace does that to a person. Answer: Even the most secure, devout believer can have occasions when they fear death. It is hard-wired into our systems to avoid death. And death was not an original part of God’s plan for His creation. We were made to be whole and holy, living in paradise in communion with Him. The introduction of death was a necessary response to the admittance of sin into the world. It is a grace that we die. If we didn’t, we would have to live in a sinful world for all eternity. Knowing that in your head doesn’t necessarily counteract the visceral reaction to the thought of your own mortality. The fragility of our physical bodies and the sudden cessation of life are violent reminders of our lack of control in a large, dangerous world. We do have a great hope, that He Who is in us is greater than he who is in the world (1 John 4:4). And He did go to prepare a place for us so that we can join Him (John 14:2). But it might help to consider the more immediate, practical considerations we’re faced with. Beginning with, what is the actual fear? There are several aspects of death that can potentially cause fear. Fortunately, God has an answer for each of them. What exactly does it feel like to die? What can you see as your life leaves your physical body? How will it come about? Is it anything like people have reported—a bright light? A group of relatives? No one knows for certain what it feels like, but the Bible does describe what happens. 2 Corinthians 5:6-8 and Philippians 1:23 say that when we leave our body, we are at home with the Lord. What a reassuring thought! We will stay in this state until Christ comes and resurrects the believers (1 Corinthians 15:20-22, 6:14) when we will be given a new, glorified body. By the time humans reach adulthood, they have a pretty good idea how to interact with the world around them. They know how to find what they need, get to where they want to be, and interact with others in a way that fulfills their intent. Many though, even those who profess a trust in God, are so fearful of not getting what they need that they feel they have no choice but to manipulate their surroundings and the people around them to their benefit. We have all met men and women who abuse and grasp out of fear. They don’t trust God to provide for their needs, so they take care of things themselves. They don’t trust others to give them consideration, so they demand what they think they need. How much more they must fear the loss of control upon their deaths. As Jesus said to Peter, describing how he would die, “Truly, truly, I say to you, when you were younger, you used to gird yourself and walk wherever you wished; but when you grow old, you will stretch out your hands and someone else will gird you, and bring you where you do not wish to go” (John 21:18). Before Peter got this warning, he denied Jesus out of fear. Directly after, he reacted by demanding to know how John was going to die. But after Jesus returned to heaven, Peter took the gift of the Holy Spirit and became a new person—one whose passion for Christ’s message far out-stripped his need to control his surroundings (Acts 5:17-42). The Holy Spirit alone gave him the strength to face whatever challenges he might face. The Christian view of death is “separation.” Ultimate death is separation from God. With physical death, we will be separated from our loved ones on Earth for a time. If they are also Christians, we know that the separation will be a short blink of an eye compared to the eternity we’ll spend with them in heaven. If they are not Christians, that will not be the case. Our commission, then, becomes to use this time together to talk to them about where they will go when they die. Ultimately, however, the decision rests with them. Just as God gives them the room to choose, we must also. Fear of the act of dying . Few of us know how we will die. Quick and painless, in our sleep, a long drawn out illness—the mystery of it, the inability to prepare, can be frightening. If we do know, if we’ve been diagnosed with a terminal illness, it can still be scary. Often, being informed and actively participating can help assuage fear. You can take steps to prepare yourself and those around you. Many people believe they shouldn’t die because they have too much to live for. Often, this means they have responsibilities and unfinished business that wouldn’t be taken care of if they were gone. But having people and things you are responsible for won’t keep you from dying if it’s your time. Doing what you can to make sure they’re seen to can alleviate fear. 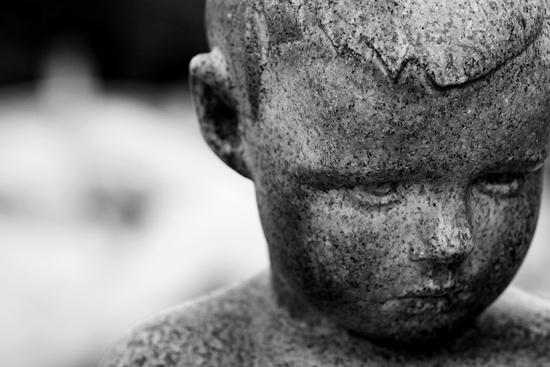 If you have a business or children or other dependents, consider their care. Decide who will take over your role and work with that person to come up with a plan. Look into a will or a trust. Make sure all of your necessary paperwork is organized and easy to find. Reconcile broken relationships before you’re unable to. But don’t live for dying. There’s a difference between taking reasonable steps and obsessing. If you have strong feelings about what you want to happen to you should you become incapacitated, express them now. It’s entirely possible that during the course of an illness or injury, you’ll lose control over the situation and be unable to make your wishes known. Get a living will. Let those closest to you know what you want—or at least tell them where it’s written down. Choose someone you trust to be authorized to make decisions for you should you become unable. These are all steps to keep up responsibilities or maintain a measure of control in the worldly realm, but they don’t get to the meat of the matter. The most important thing to remember regarding death is the truth about life. You love your family and care for them, but God loves them more. You may worry about your Earthly legacy, but God’s more concerned with a kingdom perspective. All the paperwork in the world won’t bring the peace of mind of once simple action: abide. In the middle of living this life, with these people, in this world, it’s difficult to keep in mind that this is just a temporary condition, and not a very good one at that. 1 John 2:15-17 says, “Do not love the world nor the things in the world. If anyone loves the world, the love of the Father is not in him. For all that is in the world, the lust of the flesh and the lust of the eyes and the boastful pride of life, is not from the Father, but is from the world. The world is passing away, and also its lusts; but the one who does the will of God lives forever.” How we remember this is by abiding (1 John 2:24). Staying in the truth of His Word, believing what He says about us and the world around us, will give us the proper perspective regarding this life and the one we will receive. When we are able to keep that kingdom perspective, we’ll be able to fulfill 1 John 3:1-3: “See how great a love the Father has bestowed on us, that we would be called children of God; and such we are, for this reason the world does not know us, because it did not know Him. Beloved, now we are children of God, and it has not appeared as yet what we will be. We know that when He appears, we will be like Him, because we will see Him just as He is.” It will be so evident that we do not belong in this world that others will see it, too. We will so take ownership of our position as children of God that we will actively seek the day we can be like Christ and see Him as He is. Recommended Resource: One Minute After You Die, Updated Edition by Erwin W. Lutzer. This is derived from a wonderful site– gotquestions.org. I rarely share something this bold or lengthy but this sort of connected and so I simply pass on what I’ve received. No editing, crimping or adjusting.